Look like a heroic pilot from the pages of a history book with this aviator costume kit! The polyester/cotton blend pilot cap is dark brown and has the appearance of distressed leather. 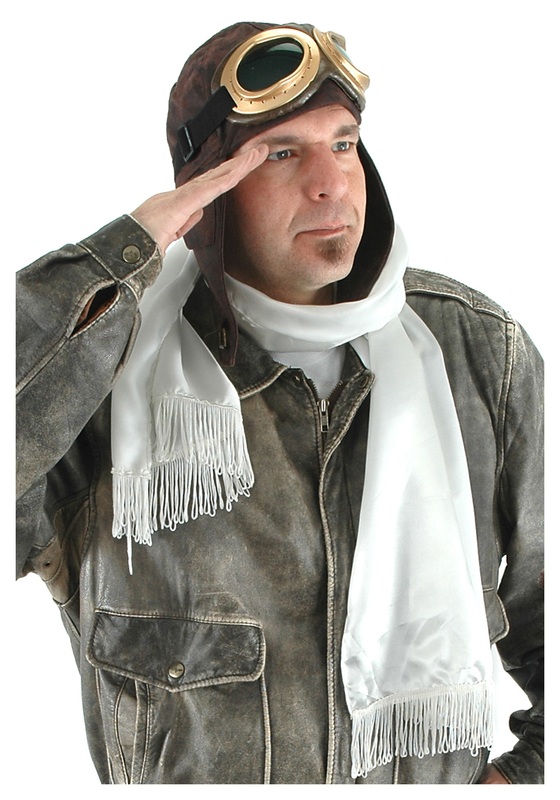 The front brim is secured in a folded up position and there is an adjustable chin strap that buckles for a secure fit. The ear flaps have faux pocket details and brass colored snaps. An adjustable strap wraps around the back of the head and has a small brass buckle. There is a small hidden pocket on the inside for your valuables too! The goggles have brown, faux leather padding around the eyes, gold colored frames and green lenses that offer 100% ultra violet protection for your eyes. They are held in place with an adjustable elastic band. For a classic look add the white scarf with fringe edges. It wraps around your neck and is approximately 60" long. 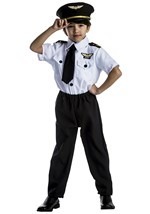 Be sure to check out all of our pilot costumes and other fun career themed costumes for Halloween.